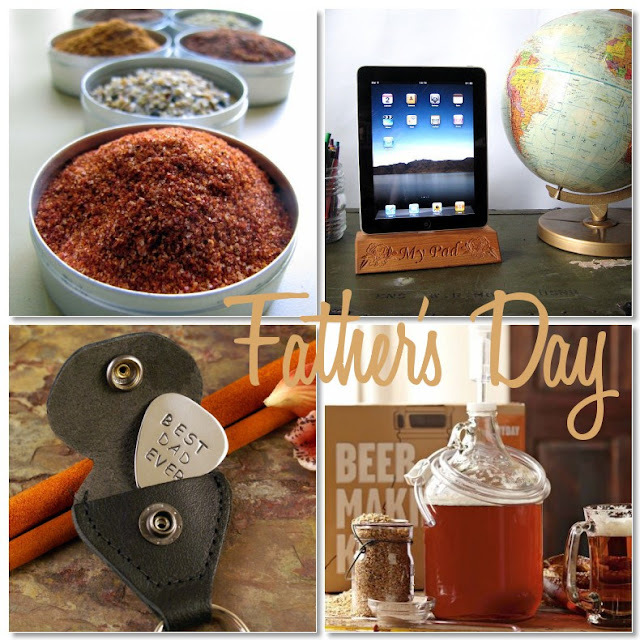 Are you in a pickle in regards to what to buy for Father’s day? I find that men in general are very difficult to shop for. Can I get a hallelujah? The good news is one quick browse of the net is enough to get the gift-giving juices flowing again! What gift are you giving this year for Father’s Day? Thanks for your comments about my Rizogalo recipe. So glad to have found your beautiful blog. I'm your newest follower. Looking forward to reading more. Thank you so much for featuring my guitar pick !! Genius ideas!!! Especially the ipod dock and charger - my dad would love that! Hi, just found your blog and LOVE it! Thanks for the F-day ideas - I'm so behind on shopping (why is this day so hard?!) but the beer kit would be a BIG hit! Can you suggest some more unique gifts ideas for my father?